If you have only one week in Japan, then Tokyo and Kyoto are the two places you should visit. These cities will give you the best experience of modern and traditional Japan. Here's the ideal one-week Tokyo-Kyoto itinerary. This itinerary includes two full days in Tokyo, three full days in Kyoto and two travel days. In Tokyo, you'll see the modern West Side and the traditional East Side. In Kyoto, you'll see Southern Higashiyama, Arashiyama and Northern Higashiyama. Travel to Harajuku and check out Meiji-jingu Shrine, Omotesando, and Nezu Museum. Take the train to Shibuya and explore the shops then eat lunch. Take the train and subway to Roppongi for some more exploration then dinner. Have a drink after dinner in Roppongi. See my Tokyo 2-Day Itinerary for full details on the Tokyo leg of this itinerary. Take the subway up to Asakusa and visit Senso-ji Temple. Then, take the subway over to Ueno and check out the park and museums there. Take the train down to Tokyo Station and eat lunch in the Tokyo Station area. Visit a museum in the area then walk into Ginza to do some shopping. Eat dinner in the area or near your hotel. See my Tokyo 2-Day Itinerary for full details on the Tokyo leg of this itinerary. 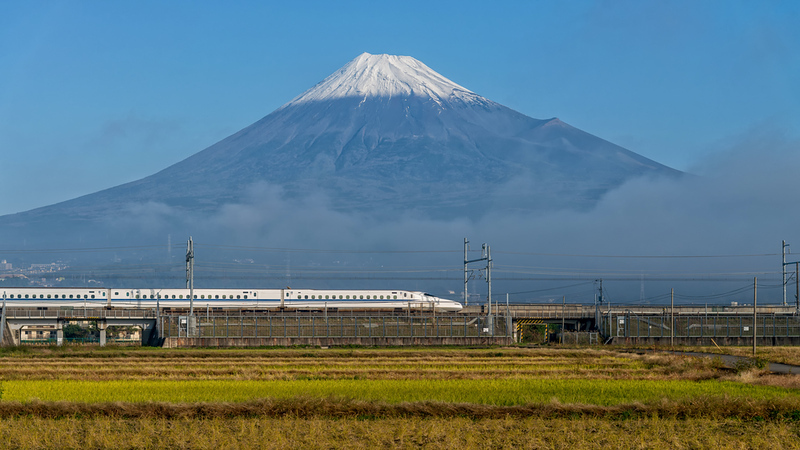 Take the shinkansen (bullet train) from Tokyo to Kyoto. See my How to Get from Tokyo to Kyoto page for full travel details. The trip takes about 2.5 hours. There's no point in getting an early start on this day since most hotels and ryokan won't allow you to check in until 3pm. At Kyoto Station, you can put your luggage in the lockers or the luggage storage office and eat a relaxing lunch in the station. Otherwise, you can store your luggage at your hotel or ryokan and do some exploring until check-in time. I suggest doing a short walk near your hotel or ryokan during the late afternoon. Explore Kyoto's most important sightseeing district: Southern Higashiyama. Walk from Kiyomizu-dera Temple all the way north to Shoren-in Temple. Head downtown and eat lunch, then visit Nishiki Market and if you've got the energy, head south to the superb Fushimi-Inari Taisha Shrine. See my Kyoto Two-Day Itinerary for full details on the Kyoto leg of this itinerary. Head to the west side of Kyoto today and explore the city's second-most important sightseeing area: Arashiyama. Visit Tenruy-ji Temple, the Arashiyama Bamboo Grove and Okochi-Sanso Villa. Then take a taxi up to Kinkaku-ji Temple and continue to Daitoku-ji Temple if you have the energy. In the evening, visit Pontocho Alley. See my Kyoto Two-Day Itinerary for full details on the Kyoto leg of this itinerary. Visit the Northern Higashiyama Area and, if you have the energy, head up to the village of Kurama. If you feel like taking it easy, just take a stroll downtown in the afternoon. See my Kyoto Three-Day Itinerary for full details on the Kyoto leg of this itinerary. Travel from Kyoto back to Tokyo by shinkansen (bullet train). See my How to Get from Tokyo to Kyoto page for full travel details. The trip takes about 2.5 hours Again, there's no point in getting an early start since your Tokyo hotel probably won't let you check in before 3:00pm. In the afternoon of this day, do some last-minute shopping. Consider a splurge dinner this evening in a place like Roppongi or Shinjuku. Don't try to pack too much into your days in Tokyo and Kyoto. It's better to enjoy a few places properly than to race through a long list of places. See my Where to Stay in Tokyo page for advice about where to stay in Tokyo. See my Where to Stay in Kyoto page for advice about where to stay in Kyoto.